Made out of fresh cream, the texture of the butter is consistent in nature. The salt content in the butter acts as a general preservative adding life. 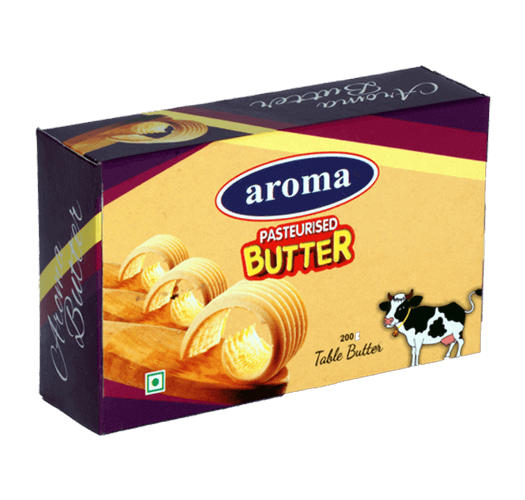 Taste the deliciousnedess of Aroma Cooking Butter, Obtained from pasteurized milk. 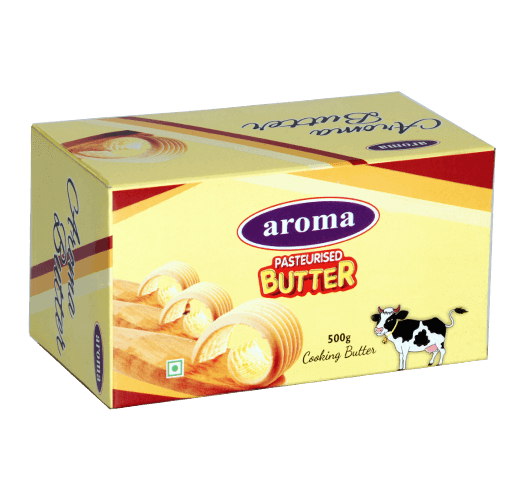 Having passed through adequate heat treatment, Aroma Cooking Butter offers rich taste, Brilliant flavour and ingenious aroma. Bring home the preferred butter of many commercial and residential Kitchens!.